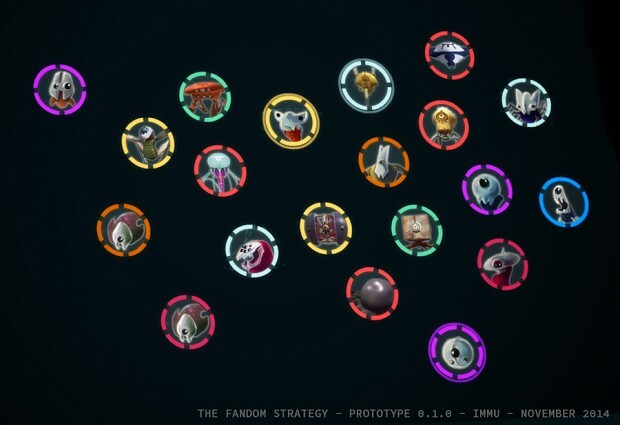 Not long after its first announcement, the first prototype of the Fandom Strategy is now available! 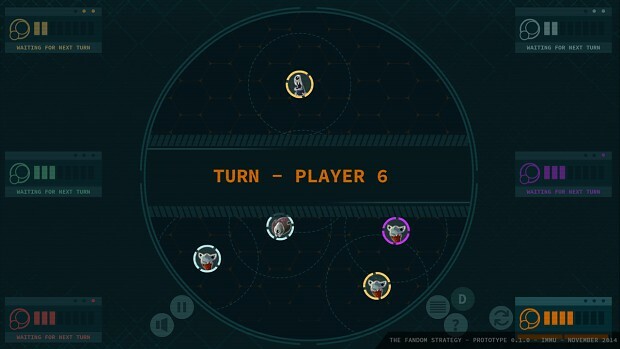 The game contains Original & Lyoko Fandoms, and all local features, with 2 players, up to 8 players. Reverse Screen Mode and so on. It works on windows and mac users, while android version might come a bit later. The android version (.apk file) will be slower as being a prototype. And it's mainly aimed at tablets rather than phones (screens would be too small). You can also check the other compositions of the music artist for the game, Kfe. 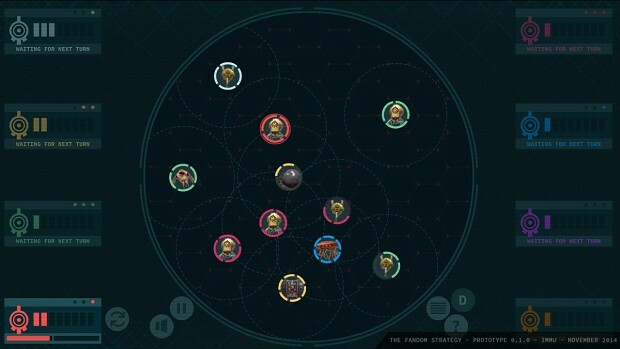 A new Code Lyoko video game! Hi, It's Immu! The next version of the IFSCL will still need time before showing up again, certainly months, for technical reasons (mostly about external plugin that needs to be updated by an external company). 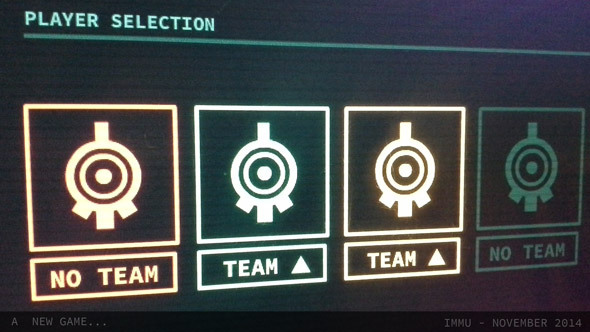 Nevertheless, here and now, theres’s a whole new game that I tease you about today, very different from the IFSCL, but with one common factor: Code Lyoko! A game that I've been wishing to do for a long time. 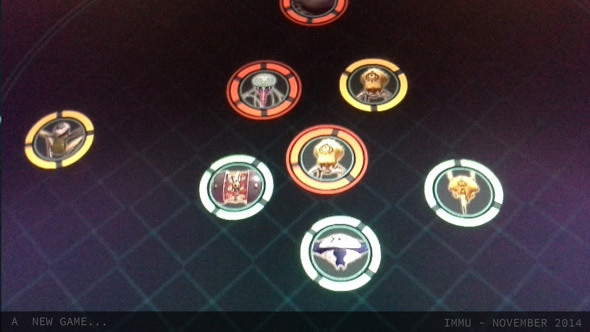 The first prototypes are functional and the game will be a multiplayer game, made for the Code Lyoko community…and even more. A release of an early playable version might be available in the upcoming months, not online, only local, which might also help pass the time in the wait for the next version of the IFSCL. A bigger news will come, as well as a complete set of galleries, social network pages and so on. In the meantime, you can still grab the last news on IFSCL facebook page. A small news post today to tell you two things. Let's start with the music. The anglophone member of our forum ProjectCarthageCLFR has discovered two pieces of music from the series. One of them is the Tower background music. We already have a version available in our Media section but the version found by our member has an unheard part in it. The second piece is a remixed version of "A World Without Danger" that we only heard in season 1, when our heroes went to the factory. Finally, some last information, something lighter. CodeLyoko.fr is the only fansite that keeps you up-to-date on your actors' work, and so here is a short addition on the topic of Bastien Thelliez, the unmissable Jim from Code Lyoko Evolution. He played a small role in "Mère et Fille" (Mother and Daughter). You can find it in the video below, from around 3:47. Discover Jim as a DJ for parties...but be careful! He'd rather not talk about it! Thanks to Vivi and Toad9! Have a nice weekend! Don't forget to read the previous news from this week. More details on the destiny of Moonscoop...USA! The press is having a little laugh at us right now, but what can you do? Here's another new article from the Atlantic. This article informs us on what becomes of the American branch of Moonscoop, which didn't meet the same ends as the French part of the company. 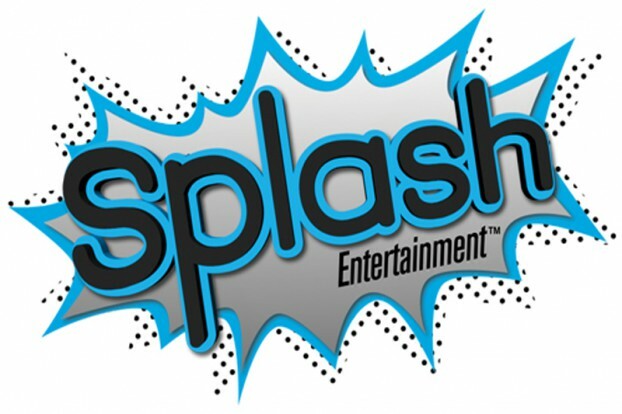 Indeed, Moonscoop LLC is now 100% owned by the Young couple and has been renamed: Splash Entertainment. Liz Young retains her presidential status, while Mike Young becomes co-CEO. In this article, we also hear about Nicolas Atlan, ex-executive producer of Code Lyoko among other things. It's already been a while since Nicolas Atlan moved from Moonscoop to work with its American branch. The Youngs have trusted him with the co-CEO role with this new beginning, so he's doing better than his French coworkers, who very few of (two) wil keep their jobs with Dargaud and its subsidiaries. For the nostalgia lovers who are better informed on the behind-the-scenes aspect of the series, you should remember that Nicolas Atlan is a close collaborator of the Di Sabatino brothers and a big Moonscoop big-shot. This trio has also served as the inspiration for the emblematic band in the series: the Subdigitals. 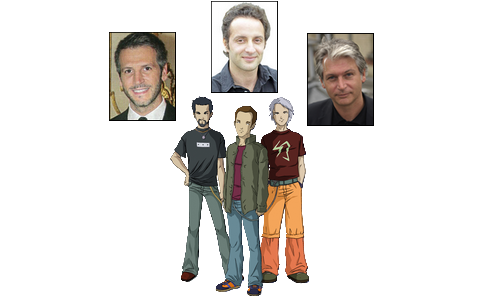 Chris, the drummer with white hair, was based on Christophe di Sabatino; Ben, the bearded one of the trio was based on Benoît di Sabatino; and finally Nico, the final brunet, was based on Nicolas Atlan. The year of 2013 was full of twists and turns for the company Moonscoop, holder of the license to Code Lyoko. We have summarized together some articles about the rough year that Moonscoop had in the update of our press review page. Moonscoop was finally bought out by the publisher Dargaud. Rather than giving you all a long explanation, here is the link to article for those who are interested! It is translated below. This news rekindles hope and speculation for the future of the series. We will keep you informed as much as possible on this impact that this purchase has on the Code Lyoko license. 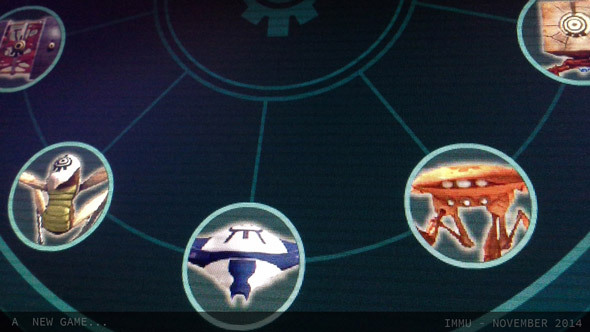 Thanks to SEBA01 for having shared the article! EXCLUSIVE Already present in the field of animation, Dargaud significantly reinforces its catalogue. Image caption: The animation studio, Moonscoop, has been purchased by the publisher, Dargaud, which is already present in the field of animation. The commercial court of Paris has decided: the publisher, Dargaud, has been chosen to head the animation studio, Moonscoop, which was placed in bankruptcy last year. Dargaud was in competition with another French company, Millimages, as well as Capucine, a consortium put together for the occasion. According to our information, Dargaud made the best financial offer: 600,000 euros, to take over Moonscoop, while the competition only offered 250,000 euros each. On the other hand, for the social plan, Dargaud has the cheapest proposal, because the company, presided by Claude de Saint-Vincent, is only interested in taking over two of the twenty-five salaries that still count in the company. The low offers are explained by the fact that various higher-ups at Moonscoop are rich. Moonscoop's catalogue, which includes series like Titeuf and SamSam, is composed of about 1,000 hours. The company was once the second greatest French producer of animated series. Hello. 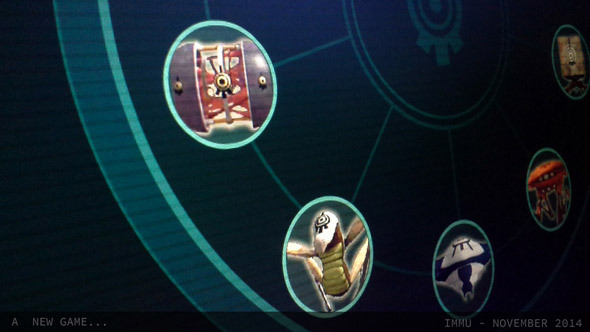 As we said a few days ago, Code Lyoko Evolution is coming to Canal J. As you can guess, that means that trailers will come before then. True to our job in having the largest Media base of the series, CodeLyoko.fr presents to you, for those who don't have the channel and those who don't live in France at all, the chance to watch these trailers. There are a few versions: one per character, though none for Jeremy or Laura for now. 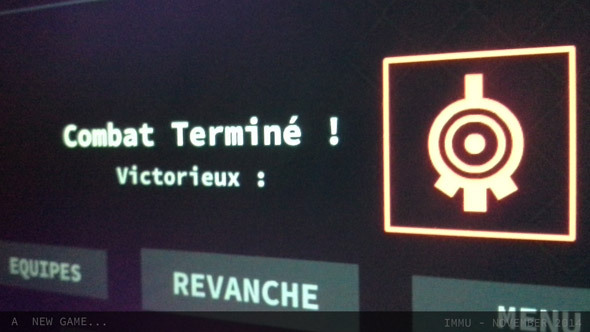 Oh, and they're in French, of course. And who ripped the 5 advertisements for you? You can now find each trailer on our YouTube channel. Click on the character below to go to the videos. Also, the official Code Lyoko Facebook page has told us that Code Lyoko and Code Lyoko Evolution will be arriving in Turkey. It will be aired on Jojo Channel during December at around 4pm. Yet another market conquered in the name of the Code Lyoko licence. And yet, no announcement about CLE in the USA, or any English-speaking country for that matter... It's difficult to see the future of the series clearly in the middle of everything that's happening! Thanks to Dauphy for the rip and Dudu for the montage. 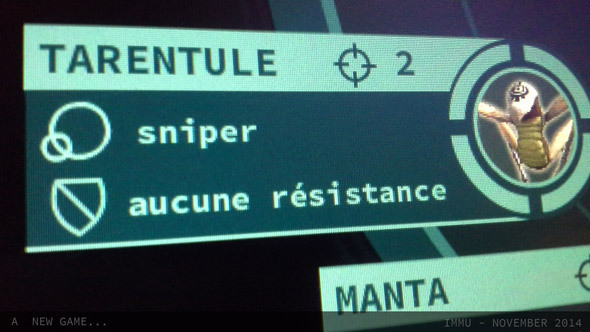 This Saturday we're writing a little about the airing of Code Lyoko Evolution in French on Canal J. Let's start with the necessary disclaimer. Many people in recent months have taken the TV guides as the absolute truth and have thus conveyed false information. It was announced on a trustworthy source that Code Lyoko Evolution would air on Canal J in November 2012. It's obvious to say that the channel has taken its time. The first episode that will appear on the channel will be, of course, XANA 2.0. It will be aired on the 30th of November. Canal J has seemingly opted for a convoluted diffusion rhythm as 2 episodes are aired each weekend. A first Saturday at 8pm, a second Sunday at the same time... See the French version of this post for the full programme. Follow Jim! But what does this mean for the English-speaking fans, exactly? Well, I do believe I can hear the faint sound of the Subsonics drifting in the air...if you know what I mean. To be continued...with a sceptical eye. The Sydnicat des Producteurs des Films d'Animation (Syndicate of Animated Films Producers) has just, via the site animation-france.fr, published a newsletter on the latest news in the world of animation. The ideal opportunity to put down a little information on Moonscoop, its different franchises, and especially the ones that interest us, Code Lyoko and Code Lyoko Evolution. 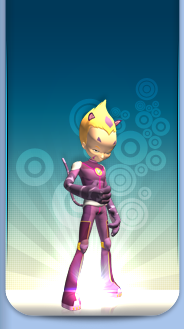 In our great wall of text, you will find a lot of information that your super Code Lyoko site (i.e. US!) 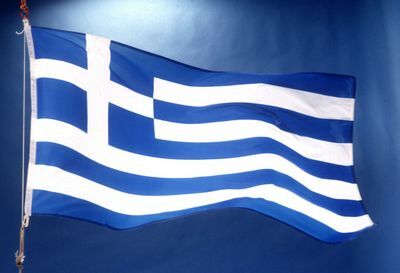 has already relayed to you such as the arrival of Code Lyoko Evolution in Greece and Italy. Here's the link to the article. Here, we've translated the extracts concerning Moonscoop and Code Lyoko, so that you don't have to go through the whole article. "Moonscoop has finalised agreements with Clan TVE and Canal Panda on the airing of seasons 1 and 2 of Chloe Magique. The series The Fantastic 4 was bought by France 4 and by the new German children's channel Yep. The renewals of seasons 1 to 3 of Code Lyoko and the acquisition of Code Lyoko Evolution were negotiated with RAI Gulp and the pre-purchase of Burney's Odyssey with Rai Yoyo. In Finland, MTV3 renewed rights to Geronimo Stilton 2, and Teletoon Poland renewed Tara Duncan and Titeuf. In Sweden, SVT bought season 2 of Casper's Scare School and, in Greece, Megachannel launched Code Lyoko and Chloe Magique in September. In the USA, Moonscoop sold The World of Todd and Dive Olly Dive to Qubo. The Hispanic channel Somos TV renewed Ava Riko Teo for Central America." "In Asia, Moonscoop signed a global deal with the telecommunications company Viettel on the entire catalogue (1200 half-hours) available in Vietnam. Elsewhere, Disney Korea and Korea Telecom Hitel bought the rights to season 2 of Chloe Magique and a package deal was reached with TrueVisions in Thailand for 350 half-hours of programmes (Titeuf, Bunny Maloney, Ava Riko Teo, Dive Olly Dive, Gasp, The Davincibles...)." Note in the paragraph here that Code Lyoko's arrival in Vietnam may be soon! "(...) season 2 of Jungle Book (52x11') by Moonscoop and DQ Entertainment (...) will be launched on TFou during the 2013/2014 season"
"BRB Internacional and Moonscoop concluded a deal reciprocating their catalogues in VOD and as digital media. BRB will manage Moonscoop's properties on the Iberian Peninsula and the Spanish-speaking territories, Moonscoop will manage BRB's in France and in French-speaking territories." "Bangoo's SVOD application, by Moonscoop, is now present in the main Android stores. It's also promoted and shipped on children's Lexibook and Teknofun tablets." "Sold in more than a hundred territories, Geronimo Stilton is a partnership between Atlantyca Entertainment and Moonscoop, with Rai Fiction, France Télévisions and M6." "The production and distribution group Moonscoop is in receivership since the 20th of June. Benoît and Christophe di Sabatino were dismissed on the 31st of July from their respective duties as a member of the Supervisory Board and CEO. They remain employees of the company. In early August, the Commercial Court of Paris has expanded the powers of the administrator in charge of the company, Mister Gérard Philippot, so that he may become its representative." In other words, contrary to what some overzealous people have been peddling, the Di Sabatino brothers are still active in the Moonscoop company. Company which isn't doing too badly. The stir in recent months is indeed a conflict between shareholders of internal nature. Code Lyoko Evolution in the country of pizza! While we sometimes have a pizza to accompany an episode of Code Lyoko Evolution, for our neighbors in Italy, it's the other way around. Indeed, the channel Rai Gulp just bought the rights to air Code Lyoko Evolution. This info was relayed to us by Quentin Merabet, Ulrich's actor, via his Twitter. As soon as we know more, rest assured that we'll let you know. Keep your eyes open... for news on CodeLyoko.fr of course! While the Greeks' anger brews over their economic crisis, Moonscoop decided to send their best messenger to fight XANA, because what else could explain the unprecedented crisis? Nothing, as it must be our "dearly beloved" virus we all know well that's behind all of this. In short, bad joke aside, it's now to our Greek neighbours to enjoy Code Lyoko (and not yet Code Lyoko Evolution) via the site megatv.com. 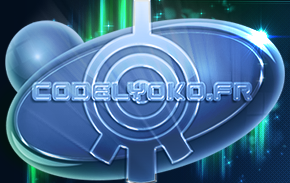 Thanks to Wilson for the information and have a good week, everyone... On CodeLyoko.fr of course!